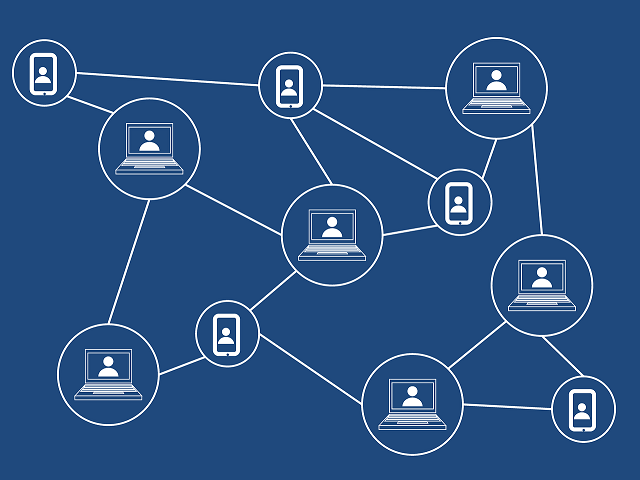 Blockchain is considered to be the most disruptive technology of the present day, one that will impact practically all industries and everyday business transactions. But what exactly is blockchain technology? And is the hype surrounding it justified? Yes, to answer the second question. But let’s explain first what it is and dispel some of the myths associated with it. In very simple terms, it is a database shared across a network of computers. At first look, it might not seem very different from the existing internet database technologies, but what makes it stand apart is that once a record is added to the database, it’s nearly impossible to change it. The ledger is run on numerous computers and is transparent to everyone. Once recorded, data cannot be altered or hidden from anyone. The blockchain technology is not being used for payments and monetary exchanges only. As you will find in the infographic below by BitFortune, it has found applications in many other industries. Let’s see what these industries are and how could blockchain disrupt our world. Blockchain technology is expected to fundamentally alter banking as we know it in the next 10 years, leading to faster transactions, reduced costs, enhanced security, and better record-keeping. About 90% of banks in North America and Europe are already exploring blockchain solutions. Research suggests that it has the potential to slash bank infrastructure costs by 30%. The potential benefits of using the blockchain technology for cybersecurity include confidentiality, decentralization, accurate tracking, smart contracts, and a reduction or complete elimination of fraud and errors. For example, the US Defense Advanced Research Projects Agency (DARPA) uses KSI (Keyless Signature Structure) to safeguard sensitive military data. Energy is another industry that will surely be disrupted by blockchain technology. However, the consumers will only reap the benefits of this. What’s more, it’s already happening. For example, residents of Brooklyn’s Park Slope area can sell power generated using rooftop solar panels through a Siemens microgrid. The microgrid database is an online bookkeeping system that uses blockchain technology to save energy data. Besides being efficient, the system is inherently forgery-proof and inexpensive. Blockchain technology promises to add the much-needed security, integrity, and transparency to the voting systems across the world. It could potentially be used to secure the electronic voting system against tampering. The ongoing research on how to use it to develop a verifiable and end-to-end voting infrastructure is quite promising. This is why the blockchain technology can be a disruptive force even in political and social arenas. Interested in finding out more? Check out the infographic below. Previous articleThink of Demat Account! Think Angel Broking! Next articleWho Should Really Apply for Bad Credit Quick Loans?